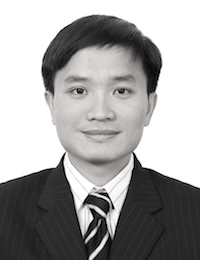 Chi-Hung is an experienced engineer, researcher in geotechnical engineering and foundations for offshore wind turbines. Chi-Hung is a postdoctoral researcher in the Materials & Structures group of MaREI and the Opti-SDS Project group at NUI Galway, working on a project to design the soil depressurisation systems to prevent Indoor radon concentration for buildings. Chi-Hung obtained his PhD on ‘Undrained Behavior of Suction Bucket Foundation in Clay for Offshore Wind Turbine’ in 2014. His main research interests are the development of numerical models and experimental investigations in the areas of geotechnical engineering, offshore foundations, and foundations for buildings. As a postdoctoral researcher at NUI Galway, he has developed a test apparatus that enables the measurement of air permeability of soils and granular fill materials under different compaction degrees, as well as varying of moisture contents in the design of soil depressurisation system for buildings. Furthermore, he has also developed an engineering tool within MATLAB called CPT2K. The tool allows civil engineers to accurately obtain almost of soil parameters required for geotechnical engineering design using Cone Penetration Tests. Further information about Chi-Hung can be found on ResearchGate & NUI Galway website profile.